My family and I recently had a Staycation here in the Atlanta area for Spring Break. Last year we were in Tennessee. Regardless if we’re staying in town or travelling, I love to check out Groupon for deals before any vacation. I’m sure you’ve heard of Groupon, which offers discounted gift certificates to local attractions and restaurants. Groupon helps me stay within my budget but also allows me to do and try all the things I want to. Did you know there are also Groupon Coupons? 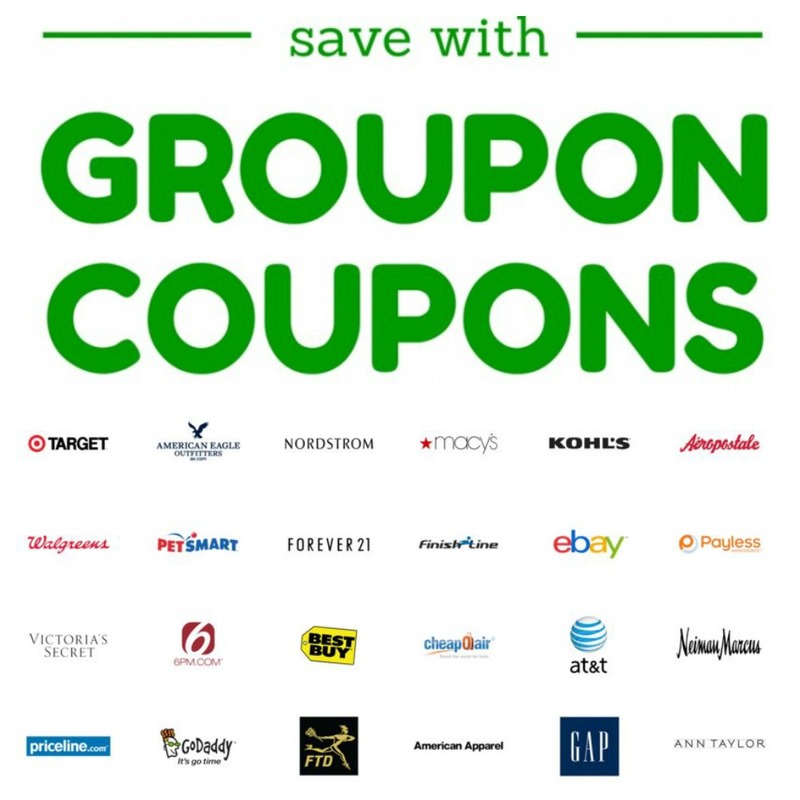 Groupon Coupons is a database of over 70,000 coupons from more than 9,000 retailers, including Nordstrom, Macys, and Kohls.. Coupons can be used in-store and/or online. Unlike Groupon‘s discounted Gift Certificates that you pay for ahead of time, Groupon Coupons are free and can be accessed right before your purchase for the retailer of your choice. If you’re going to be shopping anyway, why not see if there’s a coupon available to save you money – money you can then use to save for your next trip or vacation. There are even Groupon Coupons for travel, including hotels, car rentals, and more. With Groupon Coupons, you don’t have to sacrifice your lifestyle to save money. You shop exactly as you have in the past, but you just add a few coupons to keep extra money in your pockets! For more information, Follow Groupon on Facebook and Twitter. What will you do with all that extra money? Have you tried Groupon and Groupon Coupons before? Share you experience below. We love Groupon and refer to it frequently. I have not purchased travel from groupon but heard great things.